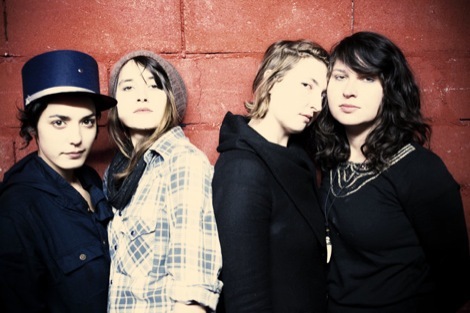 Since 2010 debut, The Fool, Warpaint have quickly gathered an almost cult-like fan base deeply connected to everything the band creates, with the LA four piece effortlessly captivating audiences with their fragile and atmospheric sound. With the release of their long awaited second LP, Warpaint, it appears that said cult is ready to propel to expand into the mainstream, boasting a level of musicianship and songwriting that will undoubtably set a bench mark for alternative releases throughout the year and beyond. Tonight sees the band edge out of the rehearsal studio for what is still one of the preliminary shows of the album tour and needless to say, Liverpool’s O2 Academy is beaming with excitement and interest to see how the band have developed. 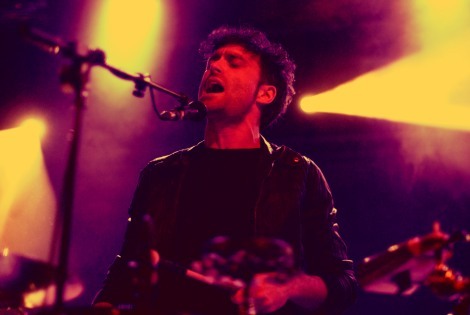 Opening with the pounding drums of Keep It Healthy, the quality of the band’s live performance is instantly apparent. With many performances working as an extension of the record, it’s easy to argue that Warpaint’s self-titled LP is the opposite, an album that sounds so complete on stage that it’s hard to imagine it wasn’t written with it solely in mind. Between Linburg (bass), Wayman (vocals / guitar), Kokal (guitar / vocals) there’s an onstage chemistry of a band so intrinsically connected to each other, a clear labour of love and the product of the extensive time spent on the road through the band’s debut LP cycle. New album tracks very much take centre stage tonight, with leading single, Love Is To Die and Disco//very showing the band at their most assertive, a dynamic which has been born from the slight change in direction in the new record. Biggie proves to be a personal highlight of the set with Kokal and Wayman swapping guitars for the soft synthetic sounds of the Nigel Godrich-produced track. Watching the band huddle over various loops and pedals you become hypnotised by the scale of the bands compatibility to one another, often improvising and musing off one another with not much more than a look or nod. As the track swells and breaks to Wayman’s falsetto vocal, one look around ensures you that you’re not alone in astonishment as the rest of the room sways in a trance. 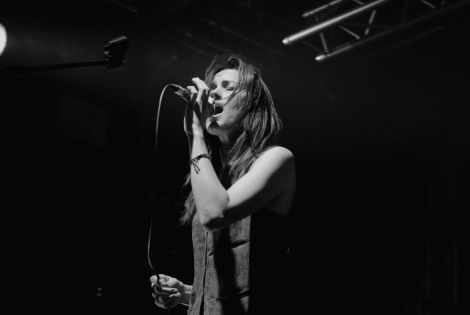 Throughout the set you could be forgiven for feeling as if you were watching the band from the comforts of their own rehearsal space, as they rarely break from their own performance, however rather than feeling excluded, you too feel consumed. 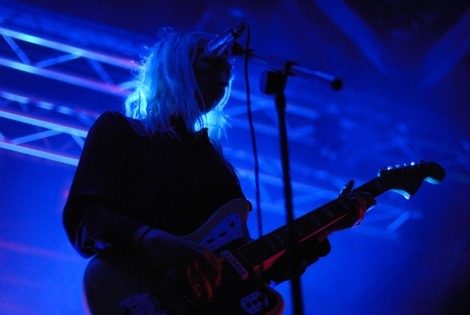 As the band dip into old material, staple Warpaint tracks such as Undertow and Composure are met with excitement, whilst the inclusion of early track Bille Holiday shows the band at their most delicate as all four vocals move in harmony to spell the name of the famous jazz singer. Ending with crowd favourite, Elephants, taken from 2009’s Exquisite Corpse EP, the band once again showcase their impeccable musicianship to bring the night to a close. Tonight showed a band that have grown and developed through the years to be one of the most impressive live bands on any stage right now, the fact that it’s done with the utmost modesty and grace is even more remarkable. 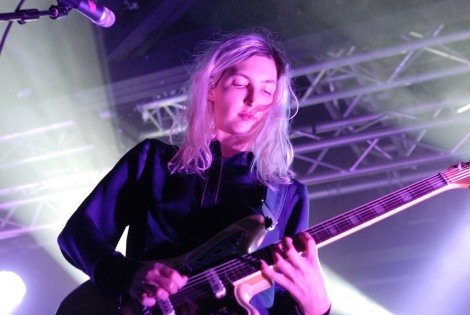 Warpaint’s new record will undoubtably open the band up to larger horizons and with performances like tonight, it’s hard not to see them gracing the late night slots of festivals, captivating audiences of thousands in the way they did this evening. 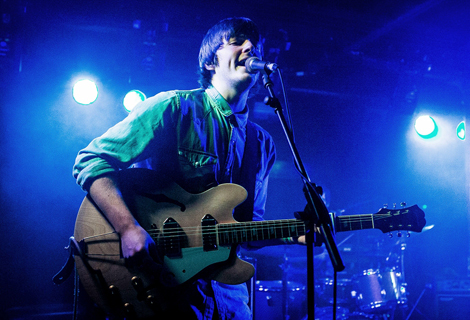 Support from earlier in the evening comes from one of Liverpool’s most exciting bands, All We Are. Over the past year the three piece have honed their craft around the city, developing a sound that’s gained them praise of fans and critics up and down the country. 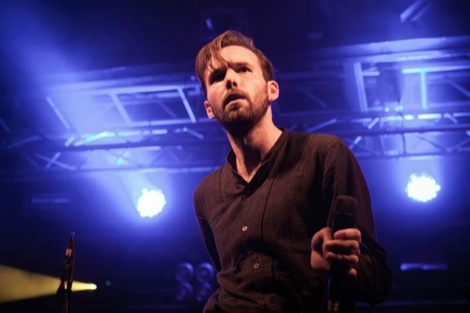 Tracks such as Utmost Good and Ebb and Flow sound as if they were written for the big stage, with the band seeming to be in their element before tonight’s O2 Academy. In the same way as tonight’s headliners, All We Are also boast a very special stage presence, with the interplay of the three piece generating a sound much greater than their numbers. Having recently signed to Double Six / Domino Records, we’re all on the edge of our seats to see what the band will release this year and hopefully to see them grace this same stage in the future as the main attraction.